From bringing in bright colors to adding shiplap, get inspired by these lovely and livable rooms. Looking for some ideas to make your living spaces truly special? Whether it’s introducing bright color or building in dramatic architectural features like a raised roof, family room photos recently uploaded to Houzz are full of decorating and remodeling inspiration. 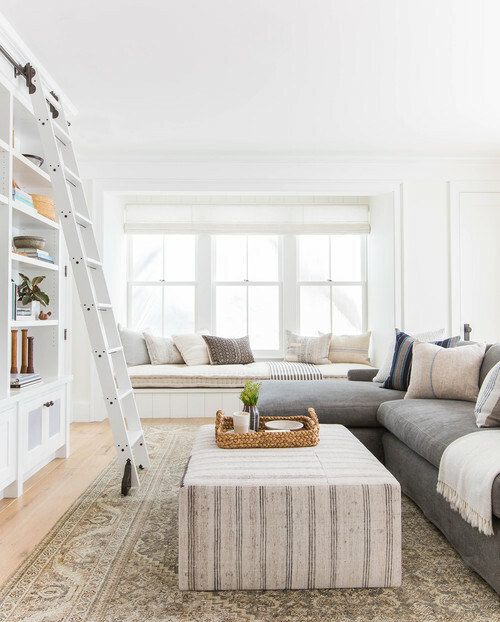 The following six ideas come from the most popular family room photos uploaded from July through September, measured in terms of the number of people who added them to their ideabooks. Which technique would you like to try in your home? 1. Give your room style with global-inspired pillows. This San Francisco room decorated by Amber Interiors features a bright idea for your spaces: throw pillows in global or global-inspired prints. We’ve been seeing pillows made from African mud cloth and French grain sack-style materials for some time now, and this room is full of them. This family room in Boise, Idaho, from Tradewinds General Contracting, also features toss pillows with global prints. The neutral palette prevailing in this room as well as the previous one also fits another of the themes we spotted in these popular photos — see No. 5, further down in this story, to find out what. 2. Add shiplap for just the right amount of farmhouse style. With the popularity of the modern farmhouse look, shiplap has been popping up in lots of homes these days. 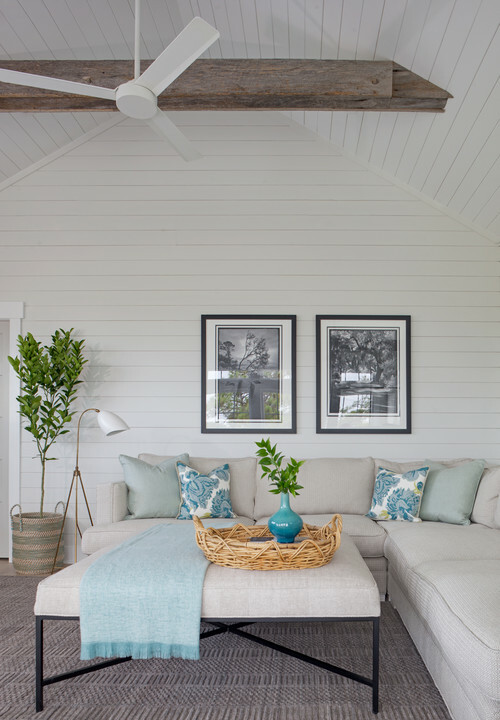 In this calming, beachy family room from Rethink Design Studio, shiplap covers both the walls and the angled ceiling. 3. Raise the roof for a barnlike touch. 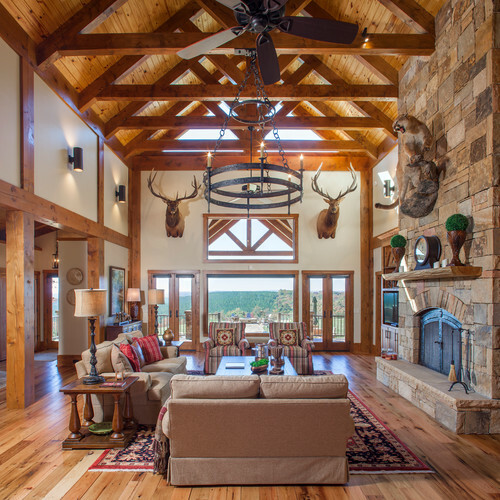 Among the most popular new family room photos recently uploaded onto Houzz, we’ve seen this timber-framed lodge motif in several styles. This family lounging space in Chattanooga, Tennessee, hews to a classic lodge look, complete with a floor-to-ceiling stone fireplace. This house in Jackson, Wyoming, features the angles of a classic timber-framed home, but with finishes that are more urbane. The pared-down color palette for the room lends an elegant note, and just contrast this lighting fixture — an elegant take on the old wagon wheel chandelier — with the one in the previous photo. Similarly, the stone fireplace in this room and the sleek mantel make the room look more contemporary and a bit edgy. 4. Sprinkle in some rustic touches to cozy up your room. You don’t have to go all out to get the comfortable feeling that rustic elements can bring to a room. 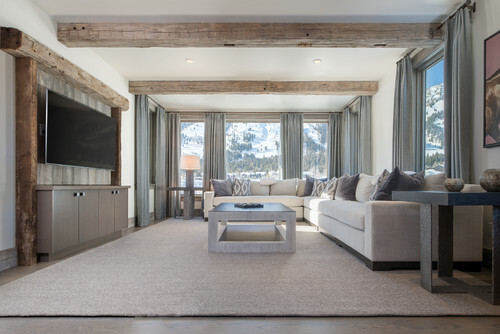 Rough-hewn beams bring down-home warmth to this family room with mountain views. 5. Calm the spirit with elegant neutrals. Soft gray-blues, creams, and beachy wood elements bring a by-the-water feel to this family room in Boston. The curve of the side chair frames contrasts nicely with the straight lines of the railings and glass-topped coffee table base. 6. Add some personality with pink. 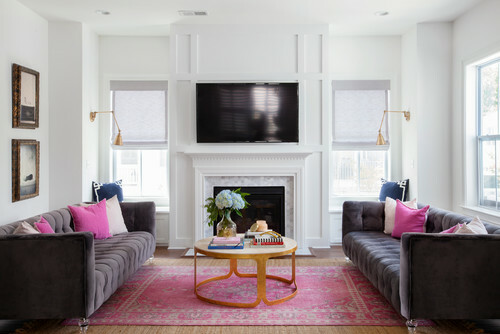 This was the most popular new family room photo uploaded onto Houzz during the third quarter of 2017 — and we have to believe that the generous use of pink had something to do with it. Homeowner Caycee Hewitt loves pink and used it unabashedly in her South Carolina home. Why not follow suit by embracing your favorite, perhaps unexpected, color in your own family room? Hewitt shows the way by adding a bright rug and toss pillows to jazz up a neutral room.